An allergic reaction to hydrogenated soybean oil is caused by an underlying allergy to soy. The allergen is the proteins found in soy beans and the hydrogenation of the oil does not play a role in experiencing an allergic reaction. An allergy to hydrogenated soybean oil will cause similar symptoms to that of a general food allergy. If you experience adverse reactions when you consume products containing hydrogenated soybean oil, talk with a doctor for an accurate diagnosis and treatment options. Symptoms of an allergy to hydrogenated soybean oil are hives, eczema, itching, fainting, dizziness, abdominal pain, chest tightness, nausea, diarrhea, vomiting, wheezing and tingling or swelling of the lips, tongue or throat, according to the Cleveland Clinic. Symptoms typically develop within a few minutes or a few hours after eating food containing hydrogenated soybean oil. Symptoms will vary from person to person, based on the severity of the allergy. Hydrogenated soybean oil is made from soy beans, a known common food allergen. Someone with a soy allergy experiences an overreaction of the immune system when she eats soy-based products. The immune system fails to recognize the proteins in the soy as harmless substances and begins to attack the proteins. Soy protein is found in hydrogenated soybean oil, leading to a common soy allergic reaction. Part of the defensive reaction of the immune system is to produce antibodies and histamine. Histamine is a hormone in the body that helps to protect the body from viruses and bacteria. The antibodies cause mast cells to produce concentrated amounts of histamine in various parts of the body, mainly in soft tissue. This increased amount of histamine leads to inflammation and irritation, causing common allergy symptoms. Avoiding soy from the diet is the most effective way to prevent a hydrogenated soybean oil allergy, according to the Cleveland Clinic. The Food and Drug Administration requires all pre-packaged foods to clearly state on the label if contains soy. 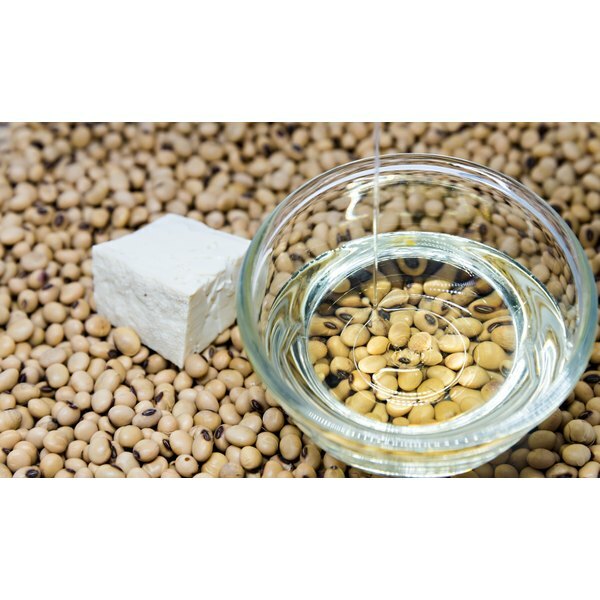 It may be difficult to avoid hydrogenated soybean oil because it is widely used in processed foods. If have a known allergy to soybean oil, avoid soya, soy nuts, sprouts, tofu, textured vegetable protein, natto, tamari, miso and edamame. An allergy to hydrogenated soybean oil can lead to a severe allergic reaction, which could be life-threatening. If you develop symptoms, such as hives, shortness of breathe, inability to breathe and feeling faint, call 911.